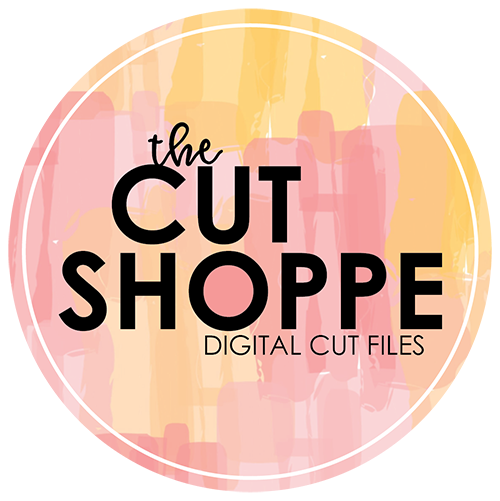 The July Kit and Add-On Kits from Hip Kit Club are so amazing this month! This one gives you lots of options for your layouts and cards! 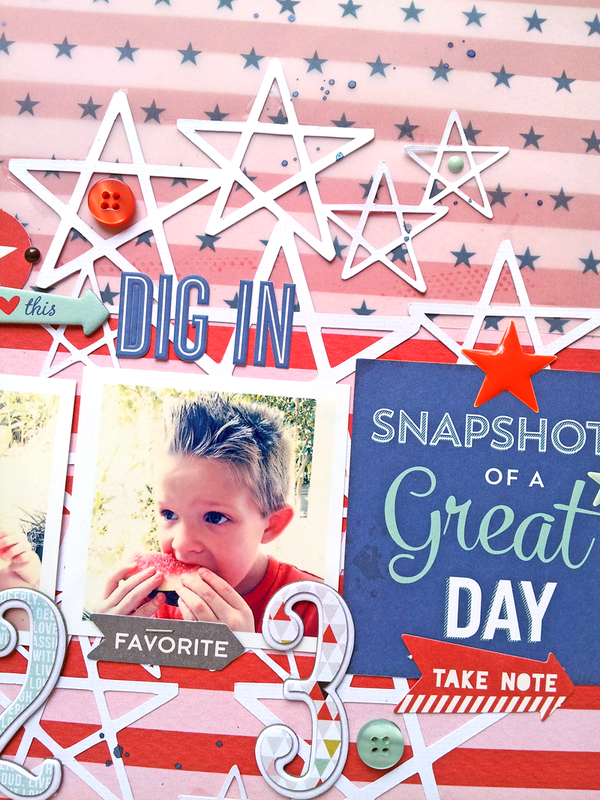 Today, I am stopping in to share my first layout and card with you, using the July Kits. If you're ready to start scrapping your 4th of July photos...from this year or maybe from 1998! !...then you definitely need the July 2014 Hip Kit & Add-On Kits!! As soon as I looked through the July Kit, I knew that the papers and embellishments would work great for a patriotic layout. I used the Teresa Collins striped paper for my background and layered the awesome Star vellum paper, from Crate Paper at the top of the page. 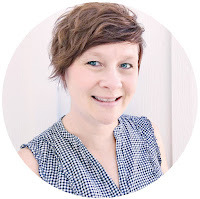 I used the Counting Stars die cut from my Etsy shop behind my photos and embellished using a mix of the Teresa Collins and October Afternoon goodies, included in the Kit! Summer means vacation and travel! 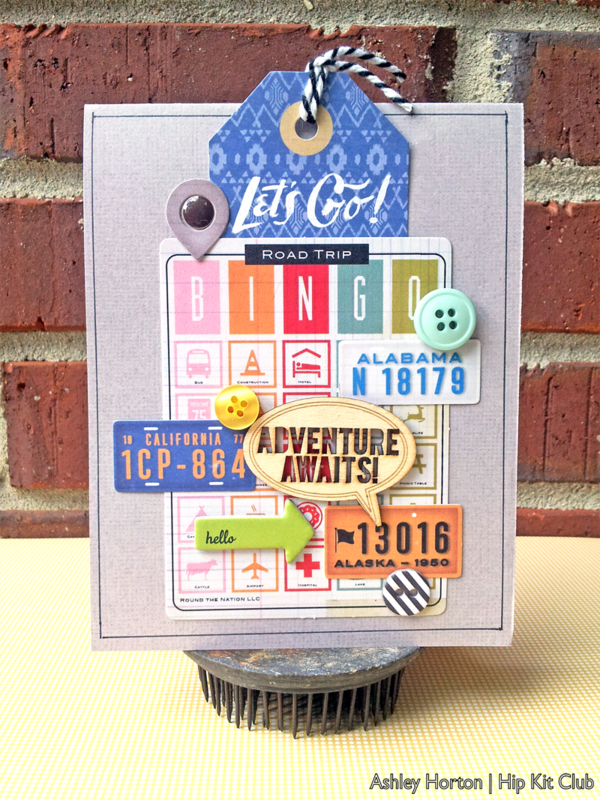 I wanted to create a fun card, using The Open Road ephemera pack from Crate Paper. 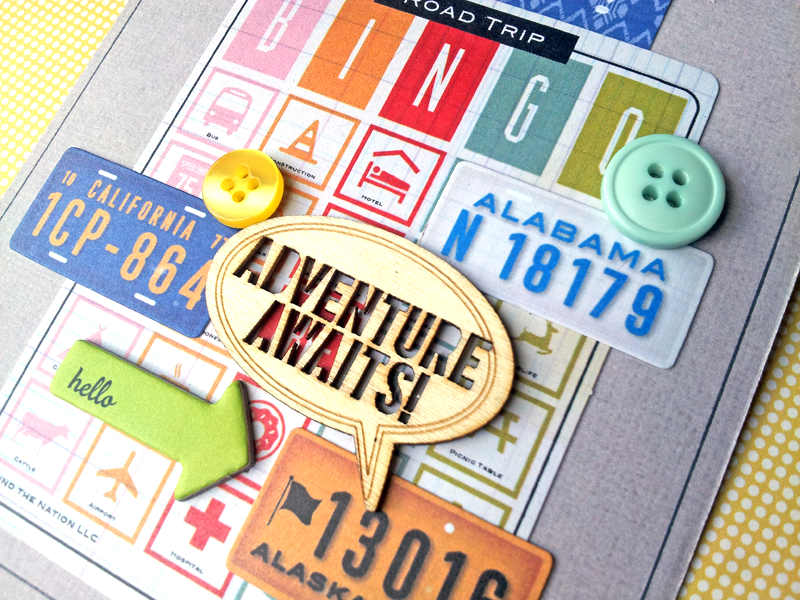 There are a lot of options in the July 2014 Hip Kit & Add-On Kits, for putting together travel themed cards and layouts. I added one of the Chic Tags Let's Go wood veneers as the sentiment for my card and embellished with some cute Decorative Buttons and Enamel Dots from Teresa Collins. Make sure you visit the Hip Kit Club Blog to see more inspiration from the Design Team, using this month's Kit! And if you want to get your hands on the July 2014 Hip Kit and Add-On Kits, make sure you stop by the Store!